For those who put in the effort to forage their own food, can their own fruits and pickle their own vegetables, the satisfaction isn't just in the end product—it's about seeing others enjoy your homemade food just as much as you do. 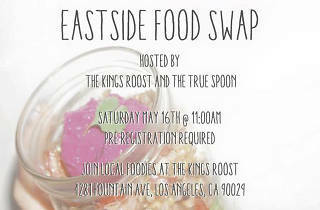 Enter the Eastside Food Swap. 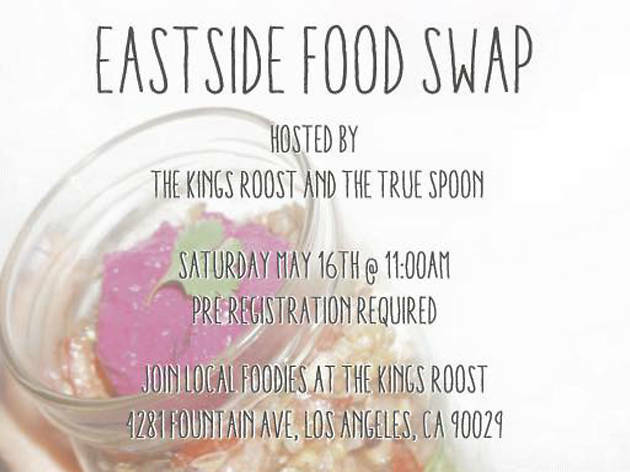 Held on The King's Roost patio this Saturday at 11am, the swap is a chance to trade your homegrown goods for other delectable treats made with love. Bringing cooks, bakers, foragers and gardeners together for one afternoon, the goods might include preserves, spices, marinades, vegetables, beverages and more. Purchase your $10 ticket here for a chance to share your edible treasures.